My latest obsession in curating the ultimate skincare routine for my oily, acne-prone skin is finding the right daytime vitamin C serum. 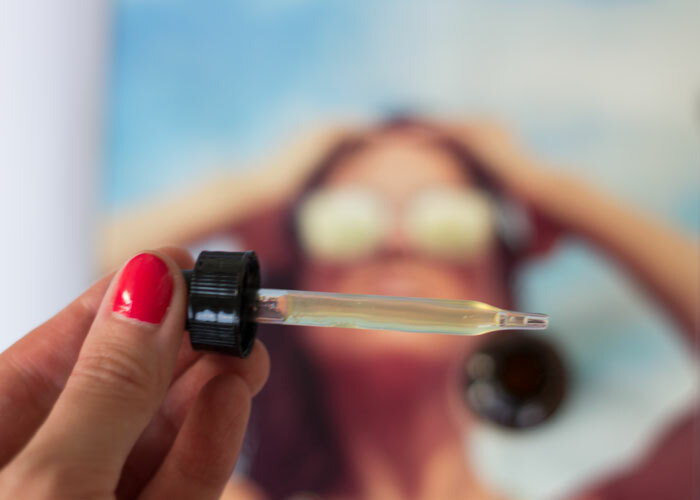 While I’ve reviewed a few that I genuinely adore, Mad Hippie’s Vitamin C Serum has gained traction because of its smart ingredients, friendly packaging and accessible pricepoint. Set in a clear-ish, non-sticky, gel-serum (that’s a lot of hyphens, sorry! ), Mad Hippie’s Vitamin C Serum introduces a stable form of vitamin C, sodium ascorbyl phosphate, into the holy skincare trinity of vitamin C, vitamin E and ferulic acid. Sodium ascorbyl phosphate is a stable form of vitamin C that works as a powerful antioxidant and acne killer, all while helping lighten discoloration marks in the process of protecting and treating. Vitamin E, a potent antioxidant that has been found to have a compounding photoaging effect when used in conjunction with Vitamin C, also moisturizes and soothes skin without making it feel heavy or greasy. Ferulic acid, in harmony with vitamins C and E, helps reduce skin damage caused by harmful UV rays. In addition to this coveted skincare cocktail, Mad Hippie Vitamin C Serum contains hyaluronic acid — a naturally occuring substance in your body that becomes scarce as we get older — which pumps moisture into the skin and helps blur the appearance of wrinkles. 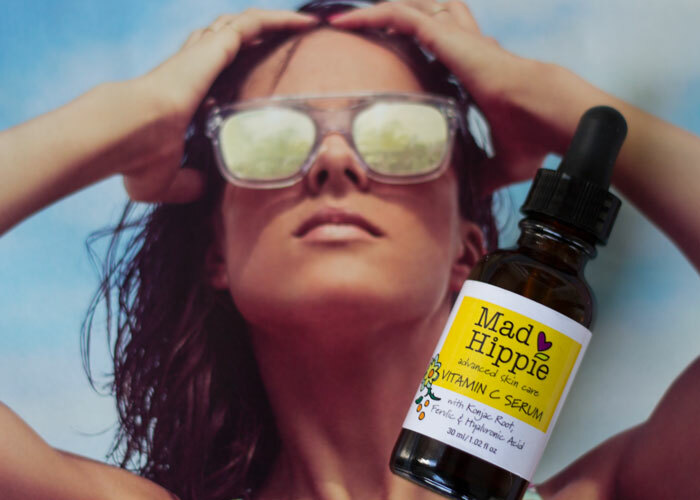 Besides its pretty, nearly clear coloring and virtually weightless feel, Mad Hippie’s Vitamin C Serum has a petal-soft aroma and fast-drying texture. I like to mix this serum with my daily facial oil, squeezing about five drops of the serum into my hand and then adding whatever oil I’m testing into the puddle. In the morning, after massaging the creation onto my face and bringing it down to my neck (you do that, yes?! ), I then brush my teeth for two minutes and then go on to my makeup application for the day. The combination of serum plus oil dries about halfway through brushing, if you’re curious how fast I mean by fast-drying. Though you can easily use Mad Hippie’s Vitamin C Serum for both morning and evening, I prefer to use it in the morning only because I’m a product junkie I like to use a separate, exfoliating serum at night (Mad Hippie has you covered here, too!) that contains some form of vitamin A (retinol) or fruit acid. This is to further treat my acneic skin and help with cell turnover. If you’re not in need of heavy duty vitamin A just yet, Mad Hippie’s Vitamin C Serum is a great multitasking, day-to-night product that I highly recommend, especially if you are just now transitioning to green skincare and can’t bite the bullet on something that costs $$$. While I’m willing to shell out good money for good skincare, I too like a great deal, and I would absolutely repurchase Mad Hippie’s Vitamin C Serum. You get so much bang for your buck, especially if you’re acne-prone (thanks, sodium ascorbyl phosphate!). What form of vitamin C do you use on your skin? Do your daytime and evening serums differ? Have you tried anything from Mad Hippie? Tell me in the comments section!